On July 12, 1943, Wiley James Anderson was born in Jourdanton to Mr. and Mrs. Wallace W. Anderson, who preceded him in death. Wiley grew up attending public schools and graduated in 1961 from Phyllis Wheatley High School and then attended San Antonio College where he majored in Commercial Arts, while attending college he worked at Santa Rosa Hospital in the maintenance department. Wiley accepted Christ as his Lord and Savior at an early age and was baptized at Macedonia Baptist Church in Jourdanton,. On February 16, 1965 Wiley was united in holy matrimony with Miss Yvonne Lankford, where he loving fathered his two stepsons James and Brian also to this union two sons Wiley James Jr. and John Charles were born. Wiley’s love for fishing took him and his family to Hampton, Virginia where he enjoyed commercial fishing for Scallops. Grounded in his Texas roots he and his family returned to Pleasanton, Texas where he went to work for Atascosa Mining as a diesel mechanic. Some of Wiley’s hobbies included sports fishing, auto racing and BBQing. Wiley has been acknowledged as one of the “Original Pit Masters” of BBQ. Wiley and his wife, Yvonne loved to travel and expose their sons to a vast cultures and experiences, while on vacation to the Texas coast Wiley and his loving wife shared a new business venture and opened up Pride of the Gulf Seafood Restaurant. Later in life Wiley and Yvonne retired to Ingleside where he was a faithful member of Faith Mission COGIC in Aransas Pass. 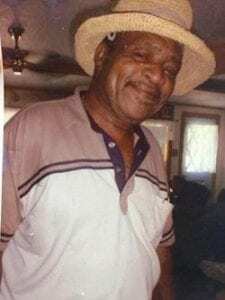 Those to leave to cherish his memory is his wife, Yvonne (Ingleside); sons Wiley Jr. (Miami, FL); John (Aransas Pass); stepsons James (Pleasanton); Brian (wife DeeDee, Corpus Christi), two grandchildren, James II and Gabriela; three sisters, Penny (Atlanta, GA); Brenda (Houston); ValGene (Dallas), three brothers RayDon (Dallas); Percy (Austin); Jerry (San Antonio) and brother Herman (preceded him also in death) and numerous cousins and friends. A memorial service will be celebrated on Saturday, December 16, 2017 at 11 a.m. at Hurley Funeral Home in Pleasanton. Services will conclude at that time. For anyone that would like to leave condolences for the family, share memories or sign the online guestbook may do so at hurleyfuneralhome.com.